You will probably all know by now that I’m a sucker for a bunch of flowers, and since moving in to our own place just over a year ago, fresh flowers have become a little bit of an obsession. When these beauties arrived on my doorstep at the weekend I was over the moon! 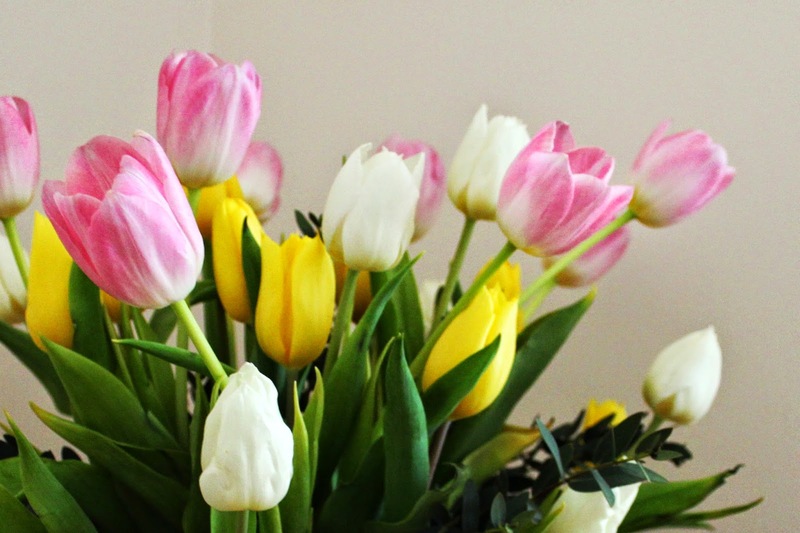 Tulips are one of my absolute favourite Spring Flowers as they are just so simple and chic, and the colours of these screamed Spring and Easter. Perfect seeing as it was Easter weekend! I received my Flowers by Post early Saturday morning, and the bouquet was wrapped beautifully and packed safely, securely and upright in a large box. I’ve had flowers from Debenhams before and they always manage to get them to you in perfect condition, something I always worry about when ordering them online. 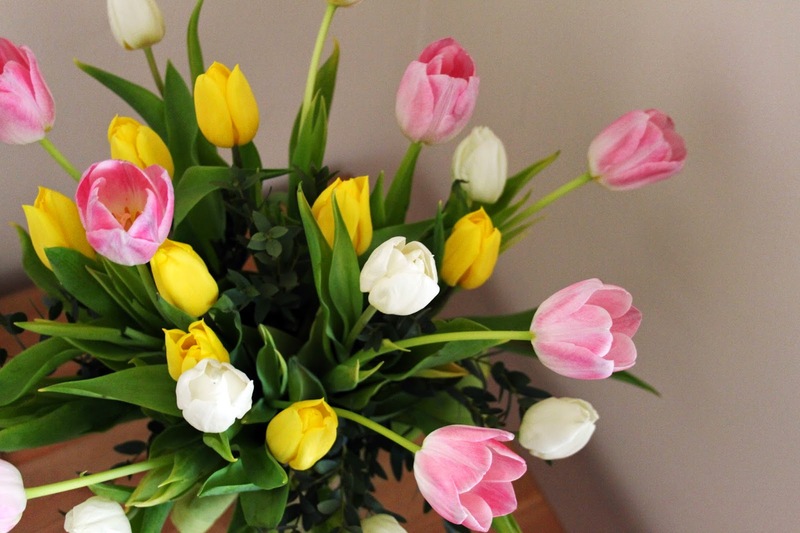 As you can see though, the ‘Mixed Spring Tulips’ Bouquet came pretty as a picture! Lucky for my lovely readers, Debenhams have provided a very generous discount of 25% off a bouquet (excludes the Flowers By Post range) with discount code DFBLOG25! 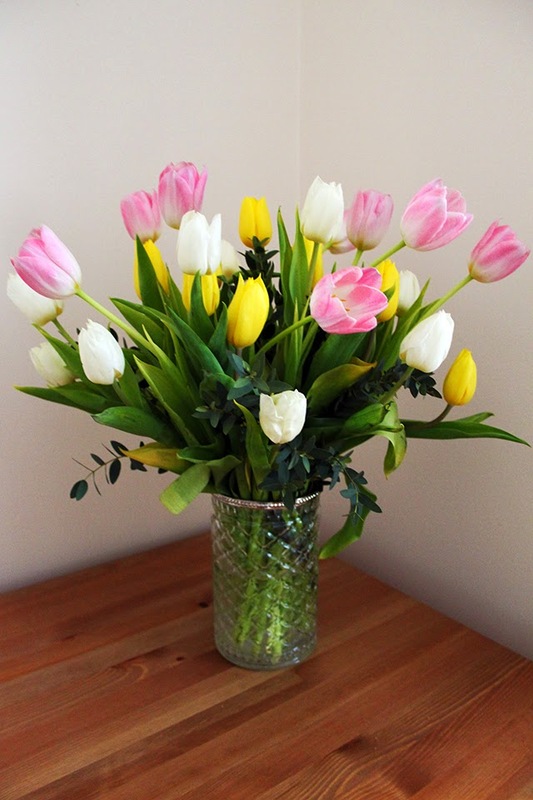 Why not treat yourself to a stunning bunch of blooms from the range to brighten up your home for Spring like mine! You can order your Flower Delivery from the Debenhams website, and simply enter the discount code at the checkout. Let me know if you order yourself a bunch! I’d love to know which ones you go for.